HORROR-RAMA 2018 Welcomes Louis Del Grande! 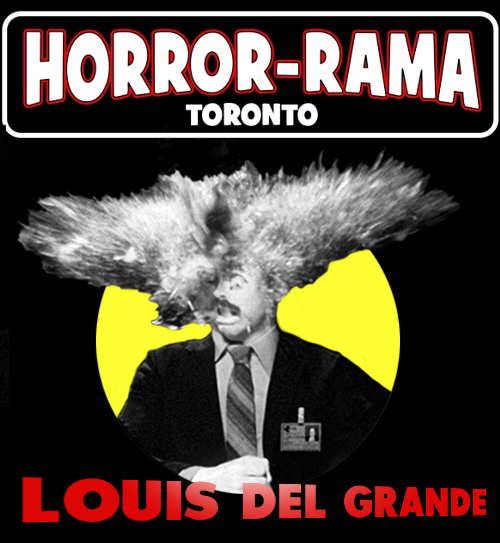 HORROR-RAMA is exploding with excitement to announce the FIRST EVER CONVENTION APPEARANCE EVER of elusive American/Canadian actor Louis Del Grande, the man most famously known to horror fans as the “First Scanner” whose head erupts in a shocking blast of blood and bone in David Cronenberg’s 1981 shocker SCANNERS! Del Grande is also horror royalty for memorable turns in the killer rat thriller OF UNKNOWN ORIGIN, slasher classic HAPPY BIRTHDAY TO ME and the immortal CBC mystery series SEEING THINGS, a cult TV show that he also created. Give Louis a warm welcome this November at HORROR-RAMA!